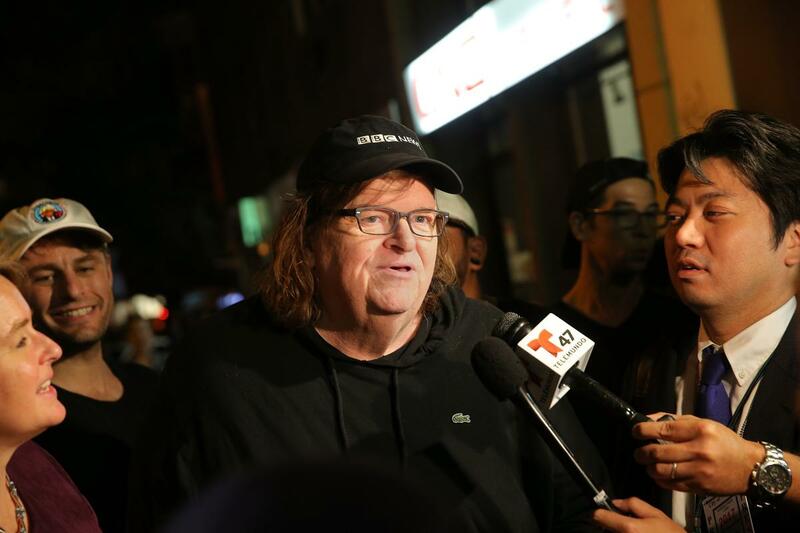 Michael Moore remains one of Hollywood’s most loudmouthed liberal voices. But his career has gone down the tube with his latest box office bomb Fahrenheit 11/9, which attacks Trump more than any documentary before it. And his latest conspiracy about Trump is one of the most insane things you’ve probably ever heard. Michael Moore used to be one of the most powerful people in all of Hollywood. To this day, Fahrenheit 9/11 is still the highest grossing documentary of all time. Moore also won an Academy Award for Best Documentary Feature with Bowling For Columbine. But he’s had a string of duds since then and you can see his career dwindle now. That doesn’t mean he still doesn’t say outrageous things. Is he implying that the test was some kind of message to all? What world is he referring to? A world where America’s economy is at an all-time high and unemployment is at a record low? We finally have fair trade deals because Trump refuses to be pushed around by other countries so they can leech off of our wealth. Is that the “world” he’s referring to? He really needs to calm down and stop pushing that nonsense. The most misinformed part about Moore’s tweet is that this is the work of the Federal Emergency Management Agency (FEMA). The federal agency even announced it on Twitter. These alerts are useful for a wide range of reasons that include warning about dangerous weather or if we were attacked by a foreign power. It’s useful. It should be necessary. This happened in Hawaii recently. An alert went out to the entire state that told them there was an incoming attack and to take cover. Albeit, it was a grave mistake that frightened many. But wouldn’t you like to know if, God forbid, something like that was about to happen? Yet, somehow, Moore turned it into a conspiracy like it was an illuminati message to certain people to be prepared for judgment day. And if you thought it couldn’t get any better with how misinformed his comment truly was just wait. It wasn’t even Trump who created it in the first place. On the surface, it almost seems like he just tweeted that to promote his failing movie. Why else would he include it in that tweet? However, it shouldn’t surprise anybody that he really does think this way. What kind of ridiculous assertion will he come up with next? Do you think Michael Moore went too far this time?